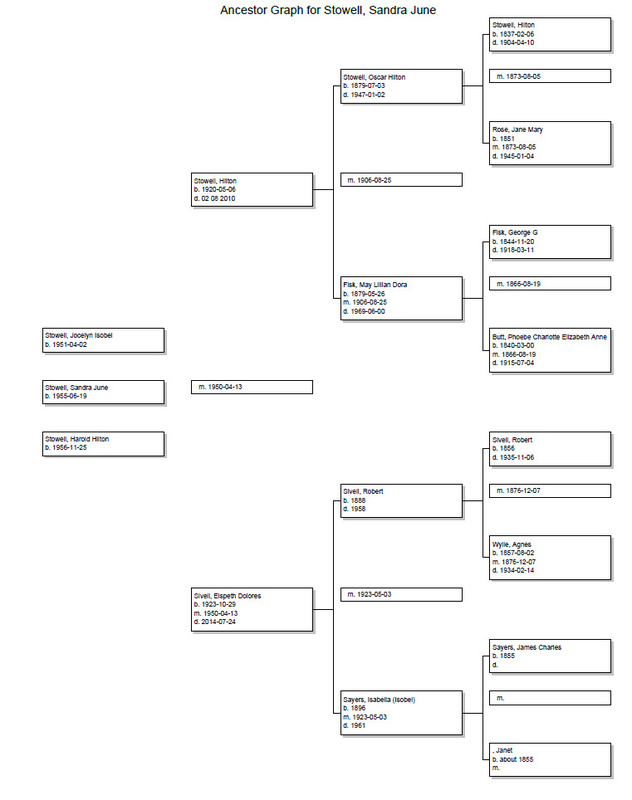 I have done a little work to trace my family, creating a family tree online, but I don't have much persistence for genealogy. 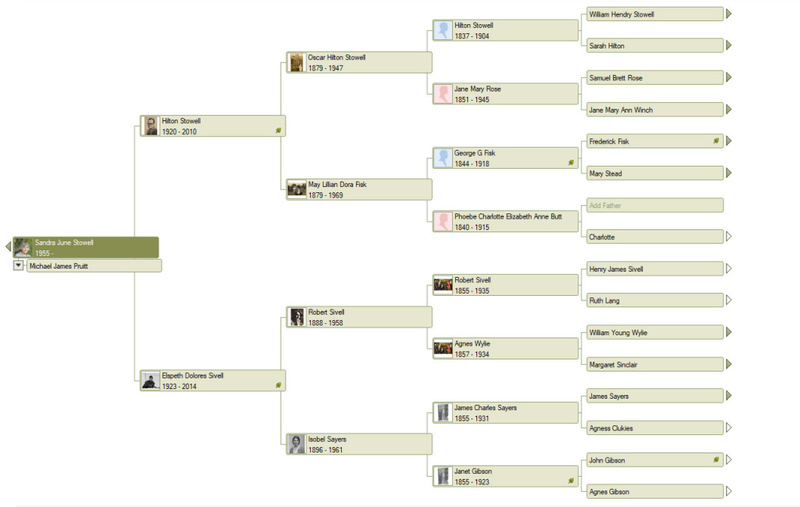 I joined Ancestry.com with the required World membership, and pushed my family tree up/back a few generations. This tree is public, and can be viewed online with a guest (or paying) membership, and I have uploaded some photos and records. I enjoyed connecting some of the dots, especially tracing the stories for family members I had met or knew a little about. But the information becomes increasingly unreliable as I go back a few generations, especially in Scotland where the records are very terse or missing altogether. I have not tried to document any of the connections beyond the family tree & saving some of the records found online. After a few months I let my membership lapse, and set aside family research which I found far too time consuming! Here are few facts about recent generations, along with abbreviated charts. Sivell is my mother's family name. Elspeth Sivell was born in Paisley, Scotland, and was an only child. Her parents built a home in Kirkcudbright, where she spent most of her childhood. She graduated from Aberdeen University, where she met my father. 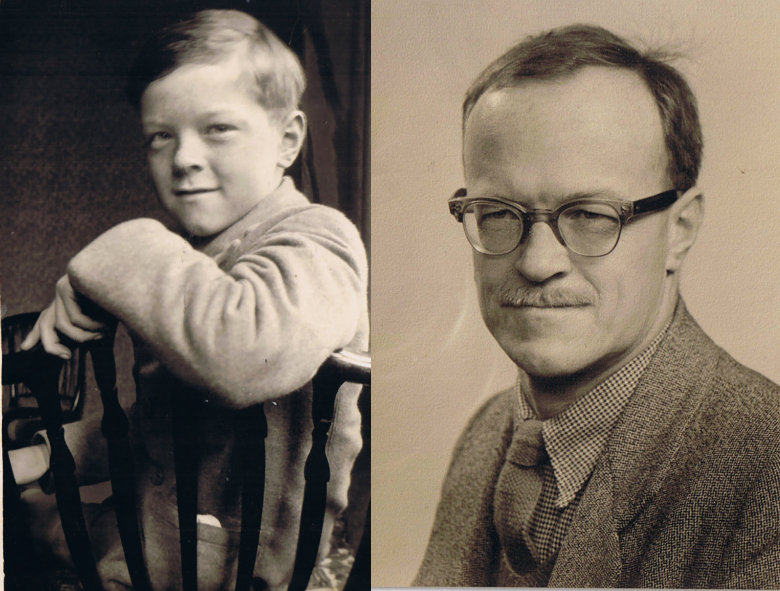 My maternal grandfather Robert Sivell, always known to us as Bob, died when I was only three years old. Robert Sivell, R.S.A., was a painter whose art work I respect and enjoy. His work includes commissioned portraits, commissions from the British War Musueum during WW II, and an immense set of murals on the walls of the Student Union of Aberdeen University. Various members of the family, especially my mother and grandmother, show up often in Robert Sivell's paintings. I try to track these paintings and collect images for my family records. My Mother loved her artist father, and kept many photos, paintings, and memorabilia. My grandfather, known always to me as Bob, had a brother and three sisters, two of whom emigrated to Canada. Their grandfather was Henry James Sivell, of Port Glasgow Scotland, the captain of a sailing ship named the "William Campbell" which sank in 1858. 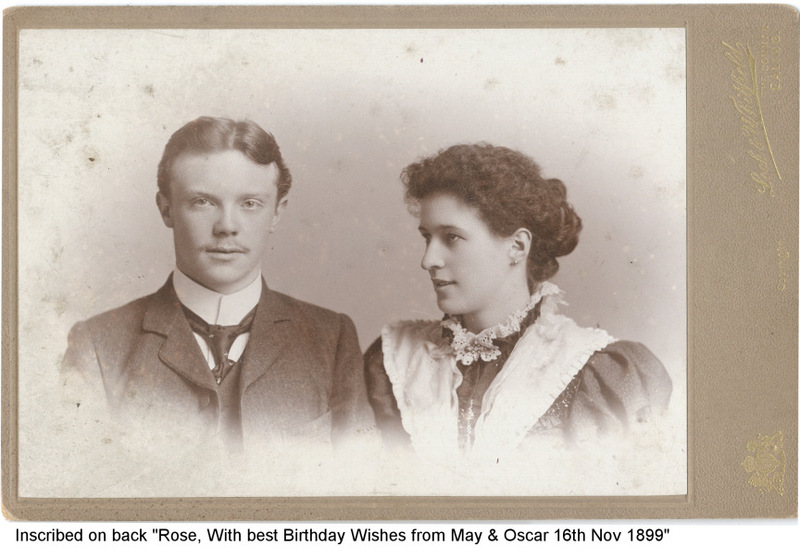 My great grandfather was also named Robert Sivell, he married Agnes Wylie in 1876. Members of the Sivell family dispersed to Australia, Canada, and the United States. The Sivell family has been thought to have moved to Paisley, Scotland as part of a migration of Flemish weavers in the mid-nineteenth century. My maternal grandfather, Robert Sivell, liked to think he had Italian roots, but he had no known basis for this idea other than his olive skin and general appearance. His father may have been a Paisley carpenter or ship builder, and before that there was Henry Sivell, a sailing ship captain, drowned in the Clyde when his ship collided with a steam ship. I have some written history focused on my grandfather, memories from my Mother consisting of a combination of direct recollections, second hand stories, and gleanings from old articles, letters and notes. She has unearthed some articles and receipts specifically dealing with several of his paintings. I remember my maternal grandmother, Isobel Sayers (Belle), very fondly, and also remember a few of the great-aunts. At least two of her brothers, Charles and John, emigrated to the United States. The Sayers were boatbuilders and wood workers from Paisley, who moved to Kirkcudbright (the Galloway coast of Scotland). My maternal great grandfather James Sayers is the white haired gentleman in the photo at left; that is my mother on his lap. My maternal grandmother Isobel Sayers, stands behind her father. Belle was one of thirteen children; I remember two of her sisters, Kate Sayers Hunter and Molly Sayers Walmsley, seen in the photo below. 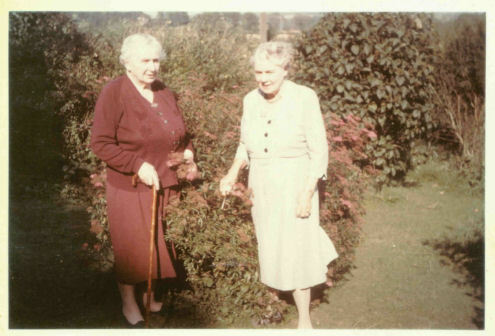 Great Aunt Kate lived in a red brick house next door to Bob and Belle at the Stell, Kirkcudbright, and we would run round to visit her sometimes during the year I lived at Ard na Stell, just up the hill. Auntie Kate kept her bad leg propped up on a stool, while watching endless games of football (the only television I had access at the time). It seemed she always had a bowl of licorice allsorts out to share, and both television and an open dish of sweets were novelties to us. Unfortunately I never had a taste for licorice (or spectator sports). My sister and I would nibble away at the sugary bits of the candy, and try to get rid of the black licorice parts! One of Belle's brothers, Charles Marshall Sayers, joined another brother in Seattle, Washington for a few years before moving to California. He was a very skilled woodworker, who built two homes, doing all the woodwork himself, creating beautiful hand carved mantles, doors, gates, and furniture. 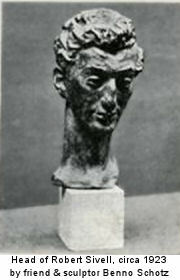 He ran a small woodworking school for many years and in 1942 published a book on woodcarving that has been reprinted by Dover Press. There are quite a few photos and records of his lovely work. 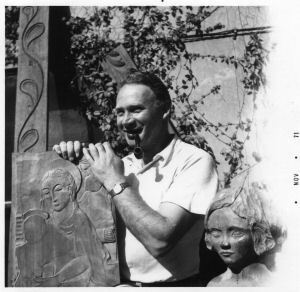 His grandson, Kenneth M. Davis carries on the wood carving tradition of the Sayers family. I don't have much other information collected about the Sayers, but I have been in touch with a relative in California, U.S.A. and one in the United Kingdom. My father's name was Hilton Stowell, and he was born and raised in London, England, son of Oscar Stowell and May Lillian Dora Fisk Stowell. I am not sure what took him to Aberdeen, where he met my mother. 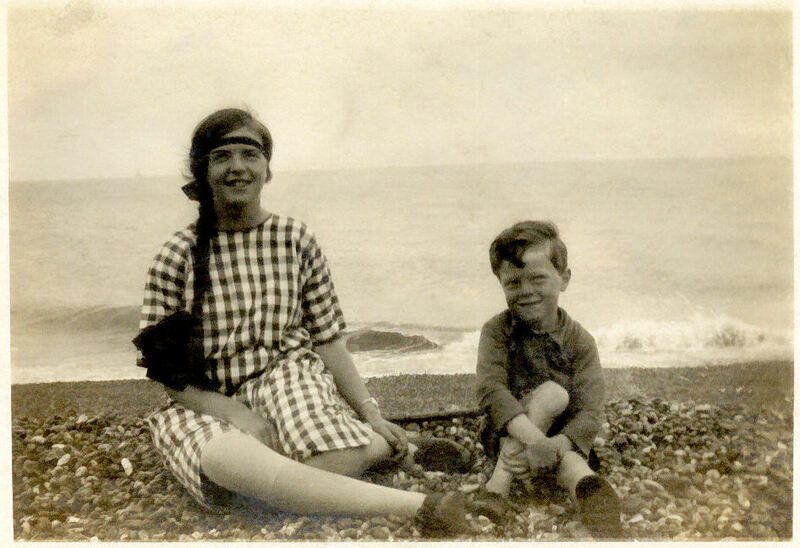 He had one much older sister, my aunt Marjorie, who lived and worked in London, and never married. After my parents moved to the United States in 1964 we stayed in touch, and I saw her again, once in the U.S. and once on a visit to England. My father returned to England to live with her for a year or so not too long before she died. My grandfather, Oscar Stowell, died in 1947, before I was born, and I don't remember meeting any of his siblings or other members of the Stowell family. Stowell is a common family name in the UK, and I don't have much evidence of the connections, although my father was fairly convinced that we are directly descended from the (very religious!) Stowells from the Isle of Mann. If so there are a number of reverends and religious schoolmasters in the family line. I remember by paternal grandmother, May Lillian, but not well. We visited her in London, staying overnight in her small flat in Ealing Common, which overlooked a large railroad yard with an engine turntable. This was fairly fascinating to young children. My only personal memory of my grandmother is of her reigning over the tea trolley, brought into the room by my Auntie Marjorie. My grandmother would carefully spread butter thinly over the cut end of an oval loaf of bread, then slice impressively thin slices for our tea! I don't recall meeting any other members of the Fisk family. I believe that several of my Fisk grandmother's brothers lived in Germany, and they may have married there, or perhaps there were German relatives there; I have not tried to research this properly. There seem to be quite a lot of Fisks as I follow up the line, and probably some Fisk relatives here in the U.S.A..